His legacy includes two buildings in downtown Duncan: the Cowichan Merchants Building and 231 Government Street. Thomas Pitt was also a prominent member of the local Masonic Lodge, Temple Lodge, No.33 A.F.& A.M., whose Duncan Masonic Temple at 163 Canada Avenue is a landmark building in downtown Duncan. “Pitt – Cowichan learned with deep regret yesterday of the death in Duncan of Mr. Thomas Pitt, well-known and respected resident of the district since 1890. He was 68. A former mayor and alderman of Duncan and a Justice of the Peace, Mr. Pitt was a popular figure here. He had been active in various organizations and was prominent in many lines of business. He was born in Worcestershire, England in 1870, a son of the late Thomas and Letitia Pitt. He came out to this country in 1890 to work on the Elkington ranch near Maple Bay. After farming for six years, he operated the Alderlea Hotel for three years. He then went into the general merchandising business with Mr. A.H. Peterson in the firm of Pitt & Peterson. Later, the late W.P. Jaynes was taken into the partnership and Cowichan Merchants Ltd. was founded. Mr. Pitt sold his interest in the business just after the war, and operated a sawmill at Cobble Hill for a few years. Then for 10 years he was in the garage business under the name of Thomas Pitt Ltd. [Note: Thomas Pitt had local architect Douglas James design a building for his garage business in 1929. That building is still standing at 231 Government St. in downtown Duncan.] He retired in 1932. 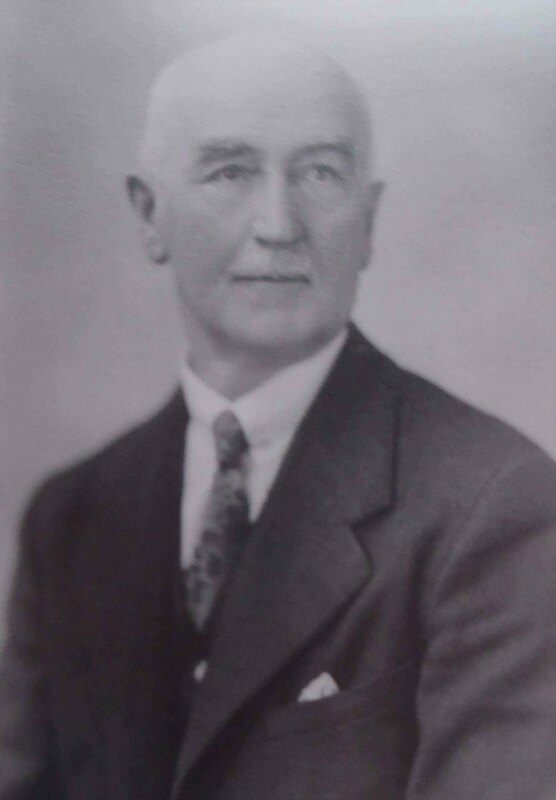 Mr. Pitt was mayor of Duncan in 1919, 1920 and 1921, and an alderman in 1914, 1922, 1923 and 1924. 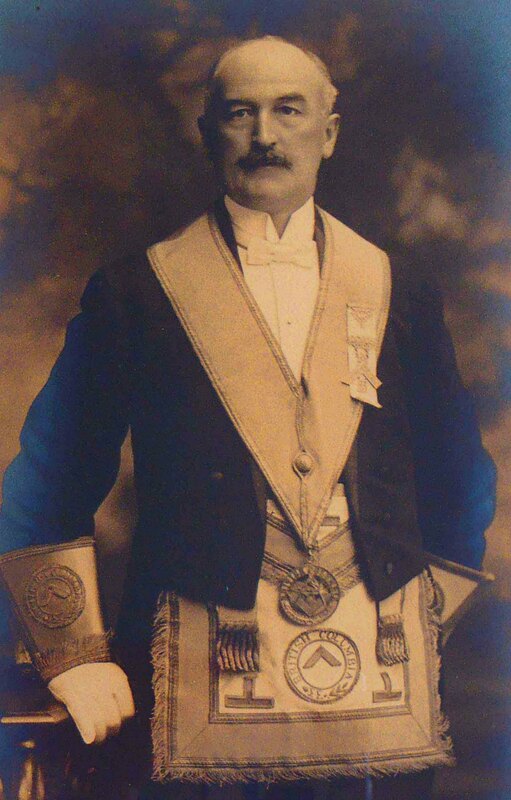 He was a prominent Mason, joining Temple Lodge, A.F. & A.M. in 1902 [note: he actually joined Temple Lodge in 1900] , and holding the office of secretary in 1903 and 1904, and of master in 1908 and 1909. In 1918 he was district deputy grand master. He also belonged to Tsouhalem Chapter, Royal Arch Masons. He was a keen hunter and angler, and the Cowichan Fish and Game Association grew under his guidance. He was secretary from its inception until illness forced him to vacate the office about five months ago. He was also largely responsible for the organization of the Affiliated Fish and Game Associations of Vancouver Island four years ago, being president for the first two years. He was a club member of Cowichan Branch, Canadian Legion. In 1900 Mr. Pitt married Miss Alice Grassie. He is survived by her; one son, Mr. Cyril Thomas Pitt, Duncan; one daughter, Mrs. A.E. Robinson, Vancouver; four brothers, Charles W. in Duncan, Stanley and George in England and Harry in Australia; and one sister, Mrs. Nellie Clark-Baylis, in England. “Pitt – The funeral of Mr. Thomas Pitt on Friday afternoon showed the esteem which he won for himself from all classes during his long business career and public service in Duncan. 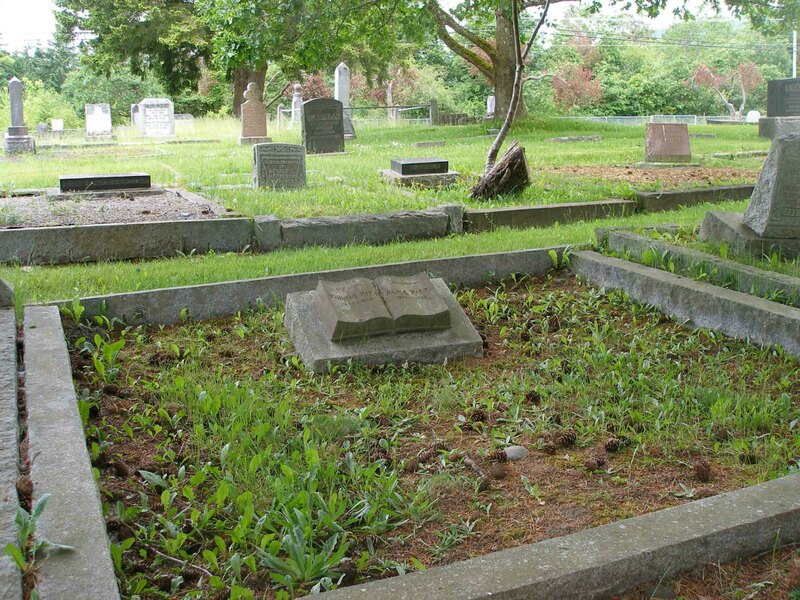 There was a large attendance both in St. John’s Church and at the United Church cemetery, Somenos, and among the masses of flowers were wreaths from the City of Duncan, Cowichan branch, Canadian Legion, Cowichan Fish and Game Association, Duncan Elks, Malahat and Temple Lodges, A.F. & A.M., and Tsouhalem Chapter, R.A.M. 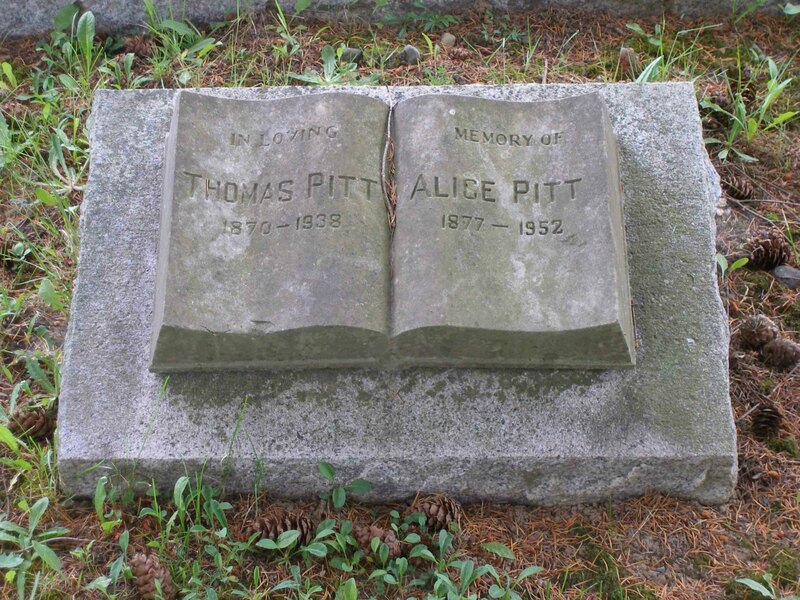 Grave of Thomas Pitt and Alice Pitt, Mountain View cemetery, North Cowichan, B.C. Marker on grave of Thomas Pitt and Alice Pitt, Mountain View cemetery, North Cowichan, B.C.